Moorgate Exchange is an iconic, 32,000 sqm, 2000 workspace, central London office building designed for large City occupiers. The intelligent design is a response to the constraints imposed by the surrounding City buildings, subterranean Crossrail tunnels and strategic views of St Paul’s Cathedral. The building floats on iconic, splayed columns and creates large, open plan, floor plates to cantilever over the Crossrail tunnel beneath. Floors rake back at higher levels away from The Barbican to create a series of beautiful green roof terraces with impressive views across London. Facades have been designed for optimum environmental control whilst creating a building that feels light and transparent. The "Breeam Excellent" awarded building uses up to 30% less energy than equivalently sized office buildings and demonstrates a 20% reduction in CO2 emissions. 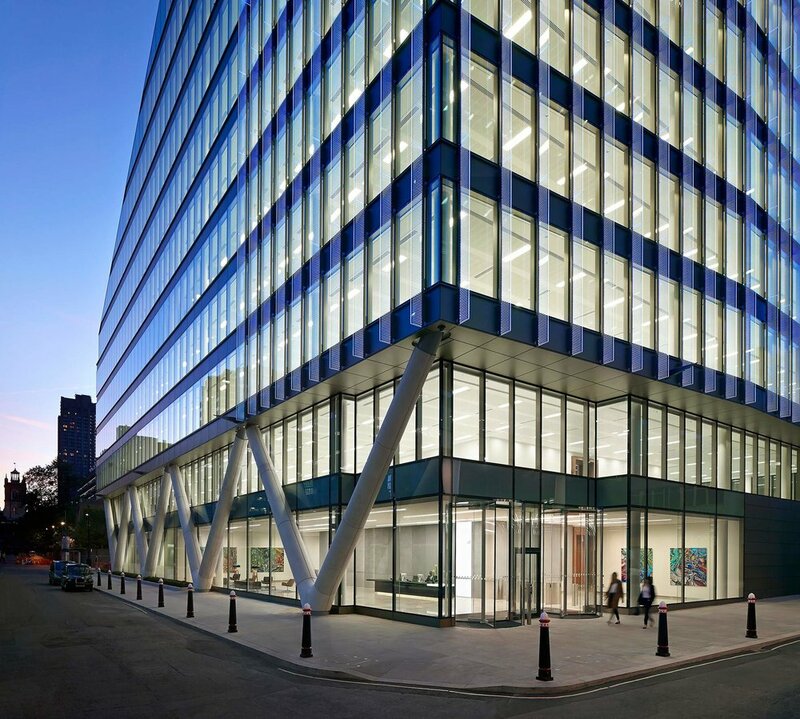 The "Breeam Excellent" awarded building uses up to 30% less energy than equivalently sized office buildings and demonstrates a 20% reduction in CO2 emissions.